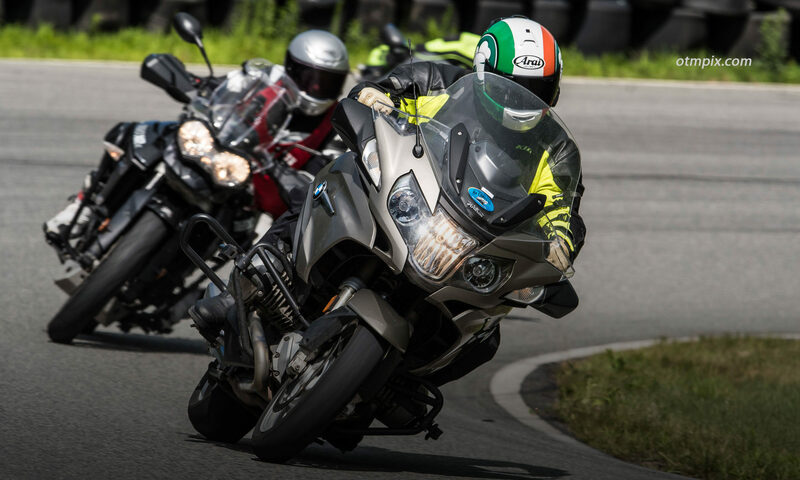 Basic rider courses give newbies the foundation for safe entry into motorcycling. But, it is not enough. I encourage all would-be and experienced motorcyclists to take a formal rider training course. Training courses conducted by certified instructors are the best way for newbies to learn to ride and for experienced riders to identify and break bad habits and keep skills sharp. But, a fundamental question needs to be asked: do current methods of basic rider training meet the mission of reducing fatalities and injuries? Part of the reason for this increase can be explained by more people riding motorcycles and an increase in overall miles traveled. This is due to an improved economy, as well as other factors. Even so, the increased numbers of riders and vehicle miles traveled (VMT) does not explain this significant increase in fatalities. Could continued rider training help riders avoid dying? Safety experts agree that current rider training courses are not affecting positive change in fatalities and injuries. This isn’t a big secret, representatives from the Motorcycle Safety Foundation (MSF) have said as much at a recent safety conference. Past studies have shown that formal rider training is effective in reducing crashes for the first several months after a rider gets his or her course completion card. However, the benefits of rider training seem to fade over time so that trained riders are involved in crashes at a similar rate as riders who did not take a safety course. So, what does that say about the current state of rider training? It says to me that new methods must be imagined and developed to keep riders interested in maintaining and improving their skills. If motorcycle riders could or would continue their skill development past basic skills, then perhaps fatalities would begin to diminish. But, too many riders let their skills get rusty and weak so that they become vulnerable to relatively minor hazards. Thankfully, a handful of safety experts from around the country are hard at work trying to develop the next generation of approaches to rider training that will hopefully meet the goal of reduced fatalities. Could peer mentoring be part of the answer to reducing fatalities? Unfortunately, a life-long learning model is a tough sell in the United States where motorcycle riders largely want to be left alone to ride the way they wish and not have to be reminded that riding a motorcycle safely requires commitment. So, what’s the answer? In the UK and Europe mandatory rider training is a multi-level process that takes many months and a rather high price tag to receive a full license. Some training professionals believe that a customized version of this UK system may be possible in the U.S. through a mentoring program. New Zealand and the UK both have well-established mentor based programs that are well-attended. Can it happen here? Would it help to make peer mentors available at both formal events and on informal rides to share strategies to become a better and safer rider? Perhaps if respected riders share control skills and survival strategies, (including the importance of refraining from riding impaired) then maybe continuing ed can take hold in the motorcycling culture. Maybe. What are your thoughts on how to reduce fatalities? Does a mentoring program make sense to you? I believe a mentoring program would definitely help. I also think a longer training program should be put into effect, similar to what you (Ken) described in Europe and in the UK. Implenting a lengthier licensing process would surely weed out the “I just wanna ride the way I want” riders as opposed to the riders that take a 3 day course and may or may not procrastinate at actually riding. As a MSF instructor for the last eight years, I believe it should be mandatory to participate in rider trainer every four years. As a professional Crane operator,where it is required to update both skill an knowledge. Its only logical to increase ones skill and knowledge. Besides it’s fun to learn new skills. more extensive training may help. of course more extensive driver training may also help. at the end of the day, drivers / road users are basically rubbish here in the USA. Nice job Ken, as usual. Does rider training help keep people safer? No question about it. Are current course offerings (in the USA) enough for a one-shot-keeps-you-safe-forever? Not even remotely. Like it or not, riding a motorcycle is a continuous learning process no matter your skill level or how many years and mile you may have already logged. Practice doesn’t make perfect. Practice makes permanent, so if you’re repeating bad habits that’s not good. We all want to reduce risks associated with motorcycling. Any rider who is serious about doing so, must continue to improve and polish their riding skills. Every book read, every DVD watched, and every practice session completed will make you a safer rider. Should there be mandated additional training ordered by the states or the feds? I’m not going to comment any further on that. That’s not for me to say. Amen. I will say that driver training and awareness is a key area where rider safety can be positively affected. But, I contend that with most crashes being preventable by the rider, and the fact that getting drivers to pay attention to motorcyclists, (let alone bright yellow school buses and ambulances that they seem to run into at alarming frequency) seems like beating your head against a wall (without a helmet), then I say we focus on rider skill, particularly Situational Awareness. I’d like to drill down into the details before I decide whether or not a mentoring program can dramatically improve rider safety and result in a lower rate of accidents and fatalities. A first step would be to tighten up the rules on rider protection, helmets et al. My company is in a nanny state that incredibly doesn’t require helmets and every time it’s brought up before the legislature all hell breaks loose. I’d like to see the statistics on the rate of fatalities in Europe and the UK to determine effectiveness. I also think that tougher penalties for handheld cellphone use and texting while driving, even an outright ban, might help. All the training in the world won’t prevent some idiot from swerving into you while they are texting. Perhaps recertification training every 3-5 years might be a good idea, but that’s going to be a tough sell because for example, you can own a firearm in Mass. without ever showing any proficiency in handling and shooting. Yes it is. If you have any doubts, have a thorough read here regularly and put everything into practice every time you ride over the next season. If you diet you probably have a regime, if you go tho the gym you probably chart your progress so treat your motorcycling the same way. Measured steps to success and reflect after every ride. These are my notes used for rider training in the UK.